Are Comfrey & Borage the Same Plant? Though they are members of the same family, comfrey and borage are two different plants. These cousins both boast dark green foliage and fuzzy leaves. 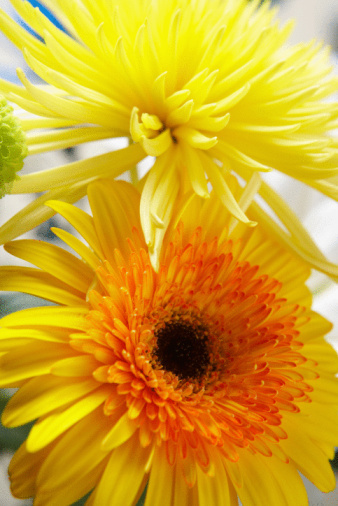 Both also flower but do so at different times during the growing season. Both plants have a history of medicinal use, as well, and as such find their way into many herb gardens. Their attractive flowers make them a hit in flower beds too. Native to Europe and Asia, the comfrey plant is a perennial that grows well in U.S. Department of Agriculture plant hardiness zones 4 through 8. The plant produces bell-shaped white, purple and pink flowers from May through June. 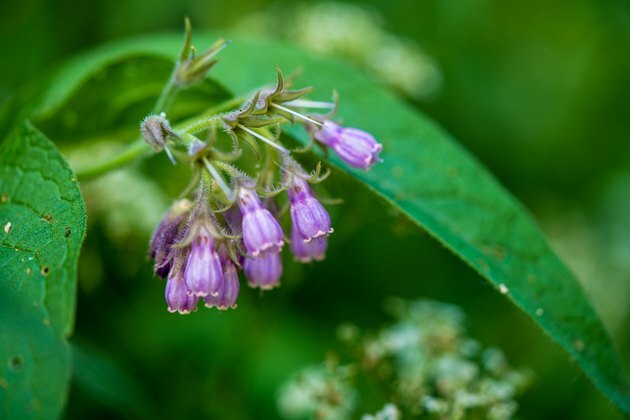 European settlers brought comfrey to the United States to use as both a vegetable and an herbal remedy. The leaves of the comfrey plant were once eaten as greens and used in medicines intended to cure ulcers, colitis, bloody urine, heavy menstrual periods and respiratory ailments. Comfrey is now believed to cause liver problems, however, and internal use is not recommended. Many people still apply comfrey externally to aid with arthritis, sprains and back pain. Also native to Europe, the borage plant grows as an annual in American gardens. The plant has hairy, dark green leaves and star-shaped blue flowers from June to August. Though usually grown as an ornamental, some people eat tender young leaves raw or cook them like spinach to enjoy their cucumber-like flavor. 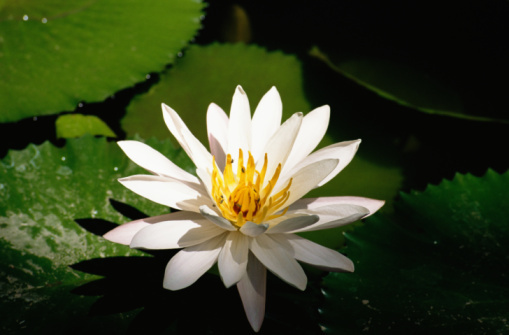 Others add the flowers to water to make a refreshing drink or add them to salads. Like comfrey, the borage plant has medicinal uses. Once used to treat kidney problems, fevers, coughs and depression, borage is currently used to improve rheumatoid arthritis and increase lung function in terminally ill patients. Premature infants sometimes receive borage seed oil to help stimulate their growth. Although the borage plant has some medical uses, borage seed oil can cause liver problems and cancer when used improperly or in excess. Consult your doctor before treating yourself with the borage plant. It's easy to tell comfrey and borage apart when they bloom. Borage flowers are always blue while comfrey flowers bloom in white, pink and purple. The flowers have different shapes, as well, with comfrey flowers shaped like bells and borage flowers like stars. These two plants come from the same family, however, and look quite similar to each other when they aren't blooming. Both have deep green leaves covered in fine hairs, but the leaves of the comfrey reach 8 inches in length while those of the borage generally reach only 6 inches. Borage also tends to be a bit more gangly than comfrey, which grows in tighter clumps. If you're not sure what you have, you can wait until the plant flowers or get help from your local extension office or garden center. Comfrey and borage enjoy similar growing conditions. Both flourish in bright sunlight but appreciate a bit of shade where the afternoon sun gets intense. Although they will wilt in very hot weather, both plants are drought tolerant once established and require very little care. Borage is best grown from seed as it doesn't tend to transplant well and it's quite proficient at seeding itself. Though it's an annual that will die during the first hard freeze, borage frequently reappears in the spring thanks to seeds dropped by previous plantings. Unlike borage, comfrey is a perennial whose roots will survive freezing winters. You can easily propagate comfrey from root cuttings and this tenacious plant will often propagate itself. Even tiny root fragments left behind after digging out comfrey will produce new plants, so choose your planting site carefully and consider limiting your comfrey plantings to containers. Both plants do best with the addition of nitrogen fertilizer.